Businesses are now on the lookout for shifts in behaviors and are now listening to what customers want. They’re doing this through new channels, and Facebook messenger looks like got the most nods from being the most appropriate place to listen to what customers want. If you’re a digital marketer or in the future will do your own marketing, here are some simple tips on placing your ads on Facebook. It’s audience targeting. It means you’re targeting a specific audience and most of them are on Facebook, right? It is also a digital marketing principle that “better audience targeting” with an average ad will almost always beat creative ad with “average audience targeting”. This is because Facebook has already filtered and determined a particular group of people based on their interest. It is Facebook’s Relevance Score, and if you’re a marketer, you simply recognized it as similar to Adwords Quality Score. 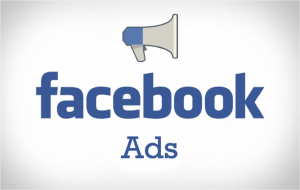 Biggest hurdle comes from designing your ad as Facebook ad creative design is not that easy and very time consuming and one simple mistake can result to wasted time and money. There is also the 20% rule, which means your adwords shouldn’t take over 20% of an image. If you use too much text, it can badly affect your image reach and performance. You have to be expert on image placement and that they have to tell the entire stories themselves while getting away with extra words. Solution? Doing it the right way and here’s some tips on how. Think about the headline – It is the bold and big promise that solves your customer’s dilemma or problem. Making precise and straightforward headline makes a big difference. Have a supporting copies or text – this should contain the benefits of your offer or telling how fast, how easy or effective your offer is. Keeping everything short- It’s Facebook and everyone came just to browse, look and play for time. In most cases, short words are catchy and attention-getters. Facebook is one of the most popular social medias and its population is continually increasing. Businesses are now shifting to it for their audience targeting schemes and if you’re planning to do your next marketing campaign, you can target Facebook and position your ads here, and if you want real value of your Facebook ads, get a digital marketer and enjoy its benefits such as high conversion rate.